Liquiline Event Water Services are a leading light in the provision of quality assured water supplies to festivals and events around the UK. Every summer we design and install water supply systems capable of meeting the needs of thousands of people at some of the country’s biggest outdoor events. But what happens to that temporary water supply once it has been used? The chances are that if the site requires a water supply, it will not have no, or inadequate sewers or sceptic tanks to cope with the waste water. The waste water produced from events and festivals needs careful control and management. 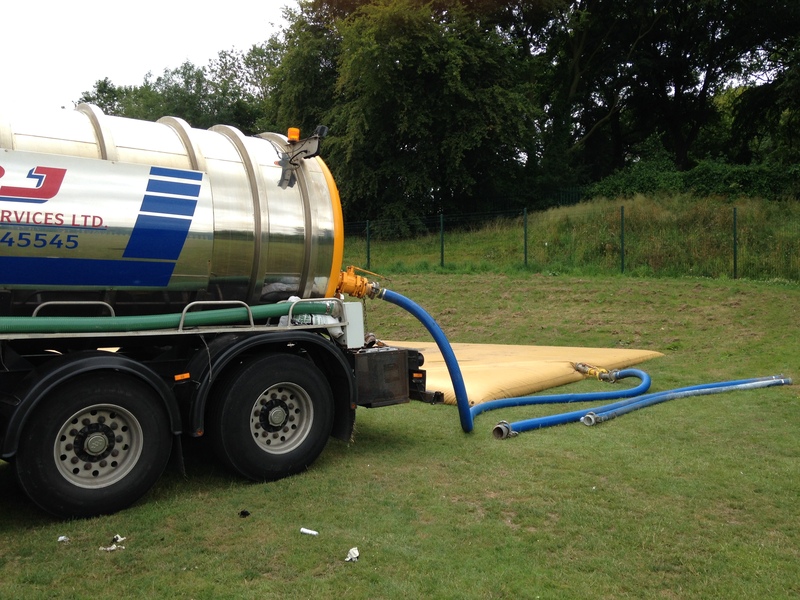 Liquiline works closely with event organisers and the toilet and shower supply companies in building infrastructure designed to remove waste water for its point of use to holding tanks, located in safe, secure areas, from where it can be monitored and discharged into waste tankers and taken to a treatment works.